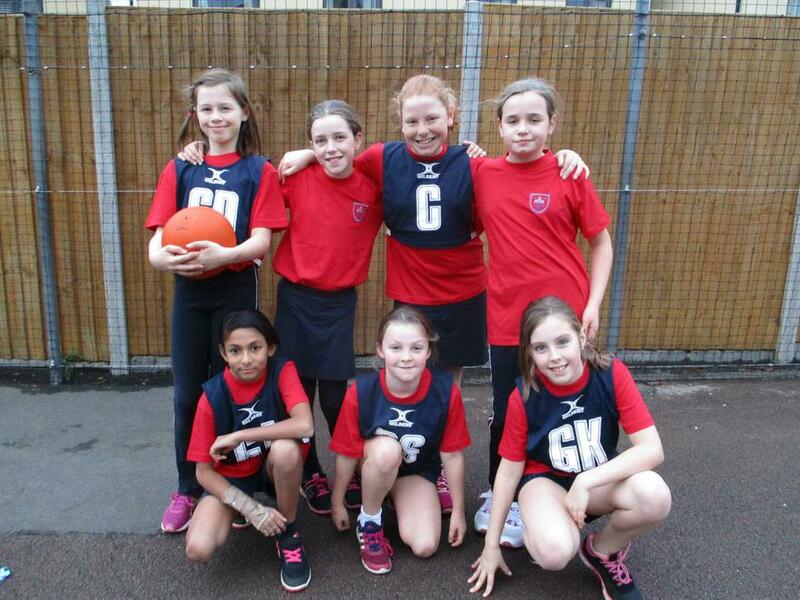 Great Start to Netball League! Christ Church Netball Team made a fantastic start to their High Fives League with an incredible 13-2 win over Swindon Village tonight. The girls were very excited about getting their first match underway and made a confident start to the game, scoring their first goal within the first few minutes. Swindon Village responded by equalling the score almost straight away. With more skilful shooting from Naiya and Ruby, along with strong defending by Giorgia and Edie, the half time score was 5-1. In the second half, the girls rotated positions and Lucy and Nell brought fresh legs onto the court. Connie and Nell, with support from Lucy in the centre, were able to further increase the lead by scoring another 8 goals between them. It was lovely to see the girls shaking hands and showing great sportsmanship, congratulating Swindon Village on their efforts and determination. Miss Hillier and Mrs Burton were incredibly proud of the team’s achievement and hope that all the girls who take part in Netball Club are looking forward to the next match.